HDR, or High Definition Range, adds even more color to your display and it’s available on only a select number of games. On Microsoft’s Xbox family of consoles, HDR is only available (currently) on the Xbox One S, and a handful of games can support this vibrant feature, adding more realism to your games — but only if you’ve got a compatible 4K TV. A handful of games have been announced to utilize this feature on the Xbox One S and on the PS4 Pro, so if you’re interested in deepening the color palette of your favorite games, both coming soon or already released, we’ve got the full official list of confirmed HDR games for the Xbox One. We’ll keep the list updated as more titles are announced. HDR Support is only available on the Xbox One S. It is not available on the original Xbox One. Not all games support HDR. All first-party Microsoft games will support HDR, and certain games that have aleady been released will receive HDR patches to add support. 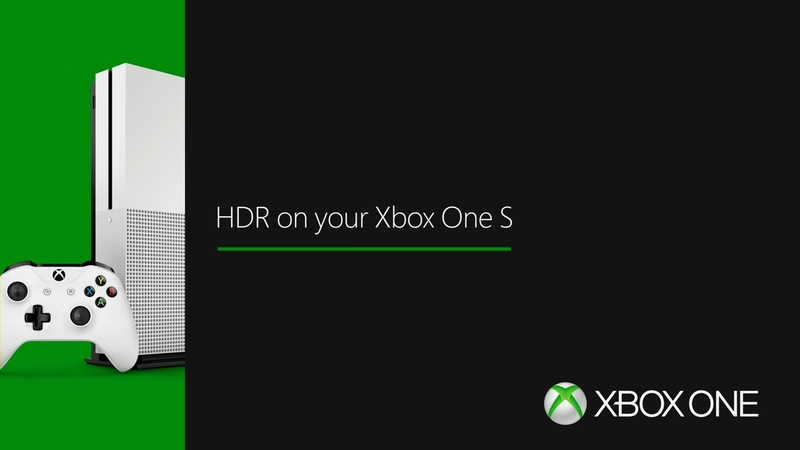 Only 4K TVs with built-in HDR support can display HDR on the Xbox One S.
HDR stands for High Dynamic Range — in comparison to SDR (Standard Dynamic Range), you’ll gain deeper, more realistic colors. Contrast is improved, and your display will appear much more vibrant. HDR will automatically display on 4K TVs. If your game is in the list above, make sure it is fully updated and any available patches are installed. Some games have native HDR support, while others will require a patch. Double-tap the Xbox One center button on your controller. Check Allow 4K and Allow HDR. Both settings must be checked to display in HDR. Not all games support both 4K and HDR. You may also need to activate HDR settings for your 4K TV — check the video output settings and make sure HDR is enabled.